Eyeglasses can be used in many different manners. Eyeglasses are tools used to improve your eyesight. Many people use eyeglasses as a fashion statement. Eyeglasses can also be used to protect your eyes from harm. Eye trauma is the leading cause of blindness in children. Choosing the right frame can make the difference. 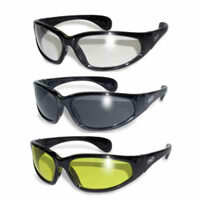 Parschauer Eye Center offers a variety of protective eyewear. Some patients’ jobs require safety frames and lenses. Other patients need protective eyewear for their hobbies or sports. 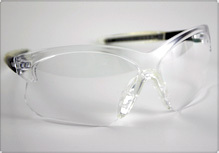 Polycarbonate is the safest, lightest weight form of plastic lens available. Parschauer Eye Center offers many polycarbonate options in almost any frame and any prescription. Polycarbonate comes automatically in all children’s glasses for eye protection.